In higher eudicotyledonous angiosperms the floral organs are typically arranged in four different whorls, containing sepals, petals, stamens and carpels. According to the ABC model, the identity of these organs is specified by floral homeotic genes of class A, A+B, B+C and C, respectively. In contrast to the sepal and petal whorls of eudicots, the perianths of many plants from the Liliaceae family have two outer whorls of almost identical petaloid organs, called tepals. To explain the Liliaceae flower morphology, van Tunen et al. (1993) proposed a modified ABC model, exemplified with tulip. According to this model, class B genes are not only expressed in whorls 2 and 3, but also in whorl 1. Thus the organs of both whorls 1 and 2 express class A plus class B genes and, therefore, get the same petaloid identity. To test this modified ABC model we have cloned and characterized putative class B genes from tulip. Two DEF- and one GLO-like gene were identified, named TGDEFA, TGDEFB and TGGLO. Northern hybridization analysis showed that all of these genes are expressed in whorls 1, 2 and 3 (outer and inner tepals and stamens), thus corroborating the modified ABC model. In addition, these experiments demonstrated that TGGLO is also weakly expressed in carpels, leaves, stems and bracts. Gel retardation assays revealed that TGGLO alone binds to DNA as a homodimer. In contrast, TGDEFA and TGDEFB cannot homodimerize, but make heterodimers with PI. 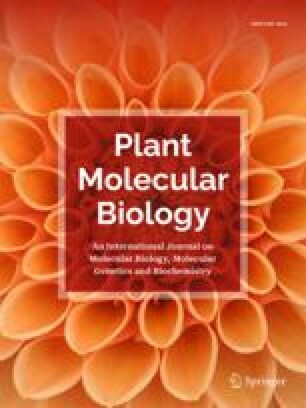 Homodimerization of GLO-like protein has also been reported for lily, suggesting that this phenomenon is conserved within Liliaceae plants or even monocot species.